One of the greatest lessons has been his discovery that there isn’t a comprehensive resource or organization led by Indigenous peoples that is advocating for alternative energy leadership. So Chris has partnered with several other Energy Futures Lab Fellows on an initiative called Accelerating Indigenous Energy Entrepreneurs. “It’s been exciting to work with a bunch of folks on our initiative. Right now we’re developing a guidebook for Nations that will serve as a resource to promote renewable energy development,” says Chris. Their initiative aims to support Indigenous communities’ leadership and entrepreneurship in alternative energy development in culturally and spiritually suitable ways. Outcomes include learning journeys documented by an Indigenous storyteller, business incubation and acceleration and an entrepreneurs’ network. The team meets weekly by phone to advance their work and is currently seeking funding. 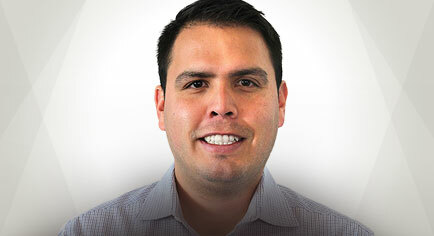 In addition to working for Shell as an External Relations Advisor, Chris also co-teaches Resource Development in Aboriginal communities for the Aboriginal Relations Leadership certificate offered through the University of Calgary. He has a Masters of Science degree in Sustainable Energy Development. Shell recently contributed $50,000 to support the work of The Natural Step Canada’s Energy Futures Lab. Shell has been operating in Canada for over 100 years and employs more than 4,000 people across the country. Our business is providing energy to Canadians and people around the world, and we are one of the few truly integrated oil and gas companies in Canada. This means we do everything from exploring for oil and gas, production, refining, the manufacturing process, and delivery to our customers at over 1,200 retail stations across Canada. Learn more at www.shell.ca.